In 1935 George Gershwin continued the melding of theatrical, classical, and jazz idioms he began with Rhapsody in Blue, bringing DuBose Heyward's novel and play Porgy to the musical stage with Porgy and Bess. Collaborating with his brother Ira and Heyward, Gershwin created what was deemed at the time a folk opera - a work that over the years has passed through cycles of praise and criticism, finally achieving recognition as a great American theatrical achievement and inclusion in the repertoire of opera companies around the world. 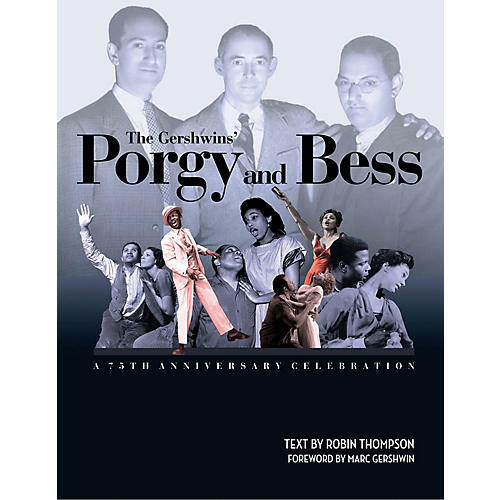 In this lavishly illustrated 75th anniversary volume, created with the participation of the Gershwin estate, opera producer and author Robin Thompson recounts the history of Porgy and Bess as he looks at the various interpretations of the work and the many layers of meaning to be found in the story of the crippled Porgy, the conflicted and vulnerable Bess, the dope peddler Sportin' Life, and the other residents of Catfish Row. Packed with unique, rarely seen archival photographs and documents associated with the production, Porgy and Bess commemorates this uniquely American blending of musical, ethnic, and creative styles and the people, the performers, and the times that produced it.